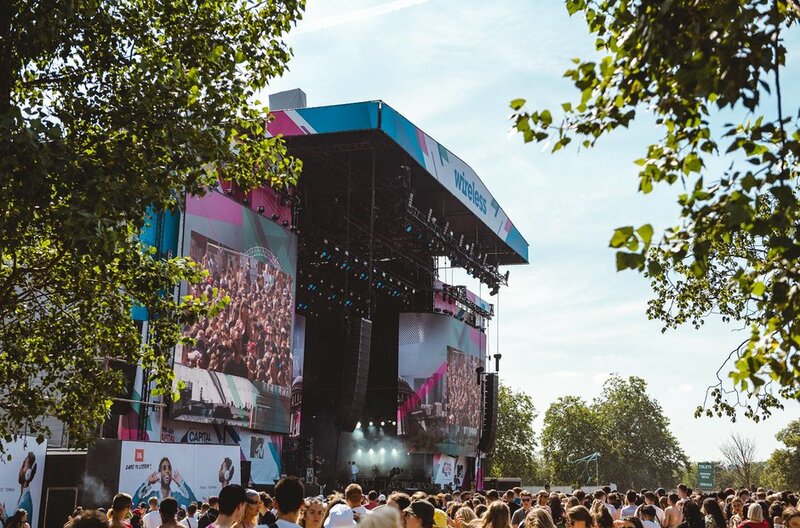 Check out all the best photos from Wireless Festival including performances from J Cole, Post Malone, Mabel and more. 2. Surprise! Drake closed out Sunday night with a fire headline slot. 3. J Cole headlines the main stage on Friday night of the festival. 4. Post Malone was the penultimate performance on the first day of Wireless Fest. 5. The main stage was on fire for J Cole. 7. Mabel performs 'Finders Keepers' and 'Fine Line'. 8. It's Mabel's first time performing at Wireless. 9. Wiley represented the UK on the main stage at Wireless Fest. 10. The crowds gather at the main stage. 11. Kojo Funds tore down the Pepsi Max stage. 12. Hands in the air for one of the biggest weekends of the year in UK music. 13. AJ Tracey linked up with Not3s for a surprise performance of 'Butterflies'. 14. PartyNextDoor taking the stage. 15. Lil Pump made his Wireless debut. 16. Ms Banks smashed it. 17. Migos lit up the main stage. 18. Swae Lee of Rae Sremmurd got the crowd hyped. 19. While Slxm Jimmy got in the zone. 20. Suspect had the Pepsi Max stage going wild! 21. Blue skies all weekend at Wireless! 22. Check out the Migos Merch stand. 23. Krept and Konan performed an energetic show on the main stage. 24. Chip had the crowd roaring. 25. Raye got in the football spirit!